We're located at 410 W Franklin Street in Chapel Hill, North Carolina- right across the street from the McDonalds. We've called our lovely building home since 1992, though we recently expanded to accommodate our new bakery. We invite you enjoy our spacious dining area and let time slip away with old friends. Our new dining space can fit well over 100 people comfortably. 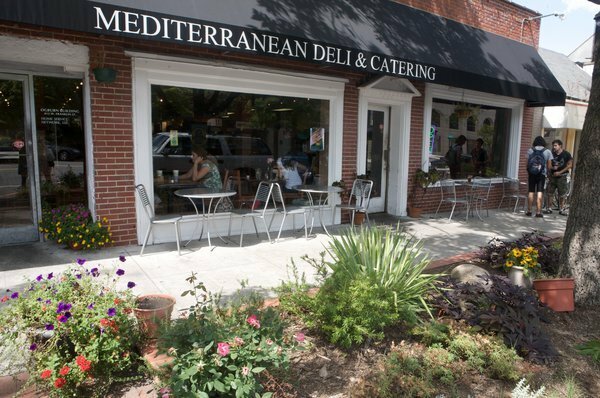 During the warmer months, we offer outdoor seating along Franklin.